First time using crossfire and trying the new View 31 Case. It went quite well, except for when I found out that the thermal take fan controller was faulty. Sadly I only have one photo of this build. I know that the power supply is quite small, just enough to run this machine. I had no higher end psu's left and the customer wanted it asap. I did advise for him to upgrade it in the near future. 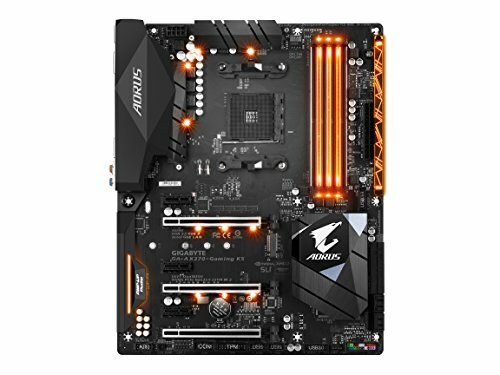 Update: Fixed pricing for the build, also realised I put 580's in the list instead of 480's by accident. This cpu is a beast! We built this when Ryzen 1 was first released, it was awesome to see how well it did then. Every test program and game we put on it ran perfectly. I have nothing bad to say about it, would have been nice if they included a stock cooler of some sort. The Corsair H110i did not stress at all when we were ramping up the games and programs for our 1800x. It was quiet the whole time and was easy to install until you got to the the pump. I don't know if we just got a bad kit, but it was really difficult to rotate the tubing to the angle we needed. Second time we have had a corsair cooler like this. But don't let that turn you away, as everything else is amazing with this cooler. Good size and options, pretty lights and it worked on release unlike the MSI boards. 5 star! Awesome memory, always used Kingston FURY's for most of 2017. Great performance for a cheaper price to other competitors. 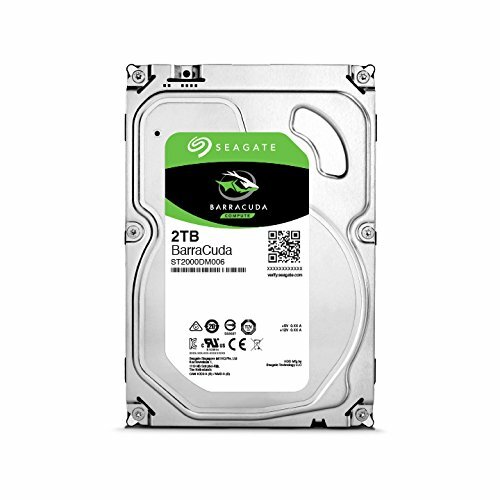 The new seagates are amazing. I will pick them over WD any day. They are always faster and have a better price range. Supports 8gb of GDDR5 for a cheap price, combine two of them and they are even better. On top of that they are cheaper than a 1080 together. The MSI Gaming X looks great and always attracts customers to its design. We have a 1070 Gaming X in a Core P5 for that reason. Back to the 480 though, it may not be as fast as a 1060, however it makes up for in the dedicated memory and with two of them you have a massive amount for anything you need. They are super easy to setup in crossfire as it is now done through the board and bridges are no longer needed. The board detected them straight away and had them setup and ready to go. I do regret not being able to have my hands on some 580's instead, but these still did the job and looked good doing it. Pros: Good looks, lots of room, RGB, option to side mount a gpu. Cons: No way to hide poor cable management. Just a cheap PSU. Nothing really special, but it works. We did have 1-2 that had issues in later shipments so I have had to put down to a 3 star. Im no expert on PSU's, but... You might want to look into a higher wattage, especially if you have plans on OC-ing. Other than that though its a nice looking build mate! I have an HX750i for my Ryzen 1700 (@3.8ghz) and single GTX 1070. My estimated wattage requirement before overclocking is just over 400w, and I like to have between 40-50% headroom so that the power supply is never running close to max output. My power supplies have always lasted a long time and run very cool (the fan on my 750i nearly never even comes on). Whilt you do not really NEED that much headroom, you should realistically have at least 150-200w of clearance. 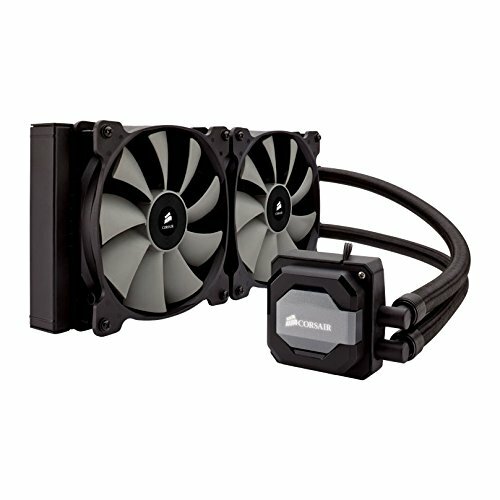 For this build I would recommend either this Seasonic unit, or this Corsair unit. They would give you a little more headroom, and are both 80+ Gold certified. 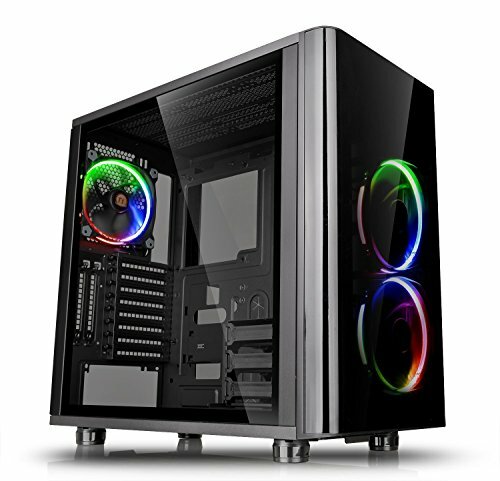 Either would also be of a much higher quality than the Thermaltake model you currently have, which is also not 80+ certified at all. I completely agree with you, I had no 750w or higher left. But I had advised the owner to look into upgrading in the near future. Thank you for comment +LeMMingSlayeR! Yeah here's a recommendation list. Yeah PCPP is saying he is at 603W so he has no wiggle room at all for overclocking cpu or gpu. Yeppers, AMD Radeon chips always require a ton of power, their TDP always seems to be proportionally overly high to me compared to the performance they deliver. You might want to consider an 850 W PSU. If it was to dollars cheaper, that would be super funny. Awesome stuff. Can you take anymore pics and post them?